Welcome to a special radio show! The Rotary Show has been running continuously with its 10th birthday in August 2015. The studio is located at the Box Hill Town Hall. Give opportunity for those who want expertise in radio production and presentation. The Rotary Radio Show tells of inspirational and uplifting stories. How one, a few, or many, can make a difference and understand the importance of being part of a team. Listen to those who have made a difference, those triumphing over adversity, and those creating new horizons. A diverse range of guests come to the Station for live conversations. We can prerecord interviews when at functions externally, subject to conditions and noise and, in special circumstances do Outside Broadcasts. To avoid duplication the Club has decided to link with the District 9800 website where the Radio Show weekly interviews and podcast can be easily accessed. Please click here. Earlier podcasts can be downloaded by clicking on the links on the Recent Interviews page. You can also click here to take you straight to iTunes:. Alternatively go to the iTunes store on your device and search “Rotary Radio” to find us. There is also a Radio Show Facebook page which can be accessed here. Our guests are drawn from Presidents, Directors, and members of Rotary Clubs served by 3WBC’s listening area. Sometimes interviews are pre-recorded for convenience. Each week the team of Rotarian and Rotaractor Producer/Presenters from Rotary and Rotaract Clubs across the Eastern suburbs of Melbourne, Australia, interview Rotarians and other community service volunteers about their projects: Who they are, what their projects are about, how they impact peoples lives for the better, how they work and how the public can be involved in the project. The Rotary Radio Show is presented by the Rotary Radio Show Team, who are listed here. They are an energetic group drawn from Rotary Clubs, Rotaract Clubs and Friends of Rotary. The Rotary Show has a number of clubs from both D9800 and D9810 who have regular segments on the show, but we would very much welcome more – particularly from the Whitehorse, Monash and Manningham areas. Lions Club of Box Hill. On the Show the 1st Friday of each month to talk about Lions Club projects and activities. Rotary Club of Box Hill. On the show 2nd Friday of each month to talk about Box Hill community projects, activities and often including the recipient organisations of the Rotary Club of Box Hill, Community Grants. 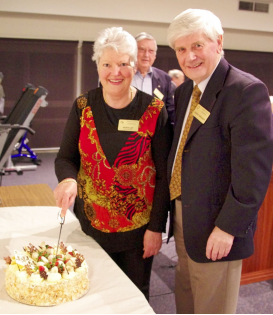 Rotary Club of Mont Albert & Surrey Hills (MASH). On the show 3rd Friday of each month to talk about MASH community projects, activities and often including the recipient organisations of the Rotary Club of Mont Albert & Surrey Hills.